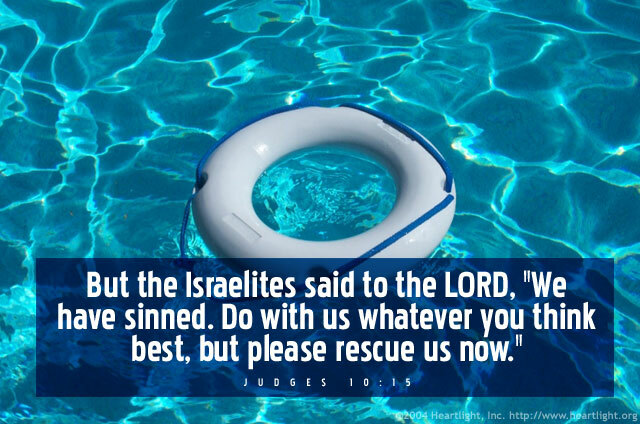 When God's people realized the depth of their sin and the impending punishment by God, they repented and asked for his help. Unfortunately we often hide, avoid, or skirt the issue of our own sin. We don't like to admit our sin, much less confess it and turn from it. "It's not that bad! I know a lot folks who do a lot worse things!" We must not view confession of sin as humiliation or weakness. Acknowledging our sin and asking for God's forgiveness, cleansing, and power open the door for him to use us mightily. Forgive me, Heavenly Father, for my sin. Please eradicate it from my life with the help of your transforming and purifying Spirit as I offer myself daily as a living sacrifice to you. In Jesus' name I pray. Amen.